Excellence in condiments since 1908 and still going strong. 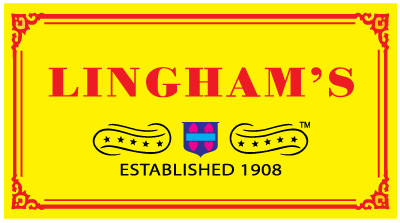 Our present day flagship product, Lingham’s Hot Chilli Sauce, was first manufactured in 1908 during the British Colonial era pampering to the tastes and delights of the British. Today our exotic, unique and versatile, sweet and spicy hot sauces are now common household names throughout the world. Not resting on our hot sauce laurels we’ve introduced a new range of authentic Malaysian Curry Pastes. Using time honoured Peranakan recipes handed down from one generation to the next we’ve created a range of truly amazing taste experiences. and everything in between, our authentic hot sauces and curry pastes speak a universal language.